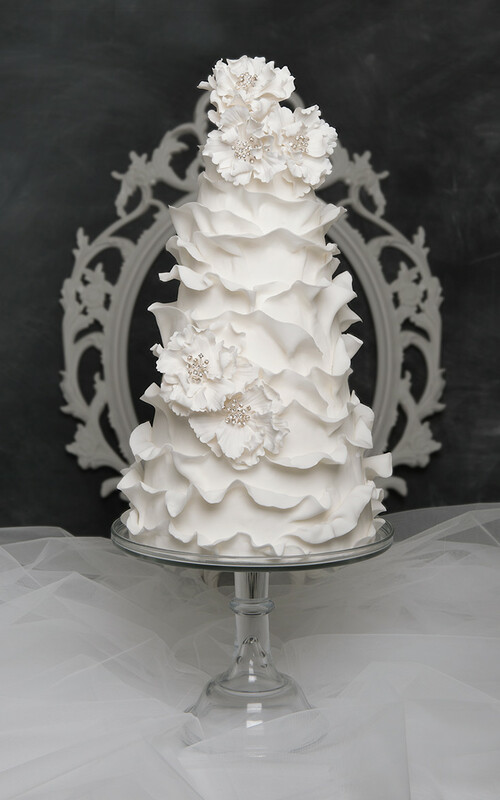 White Ruffle Bling Wedding Cake – Enveloped with delicate ruffles this unique contempary design has a real wow factor. 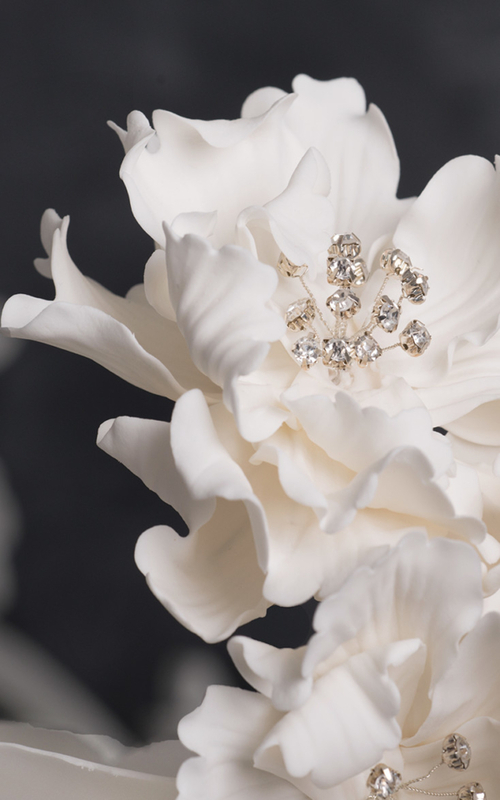 Its striking modern silhouette is adorned with large hand crafted sugar flowers. Finished with swarovski crystal centres for a final touch of glamour. 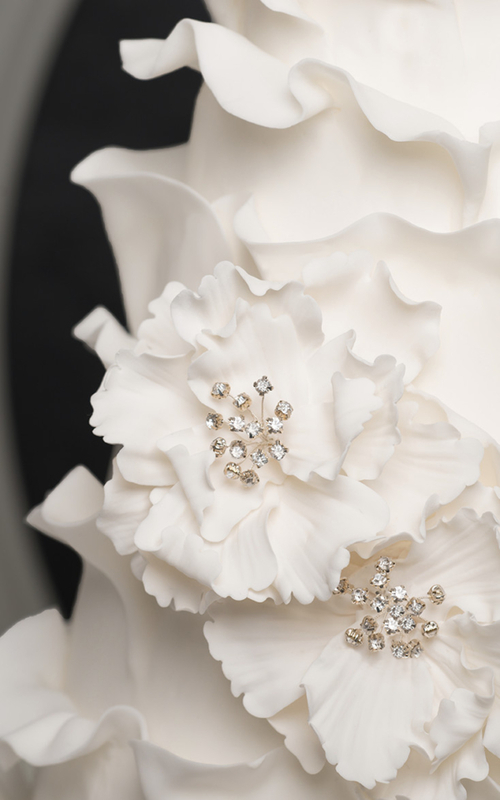 When light hits the cake it hightlghts the subtle depth and intricate detail.